You were her boyfriend, you are NOW her husband...congrats! Snag this funny newlyweds t-shirt to wear on all of your honeymoon adventures! 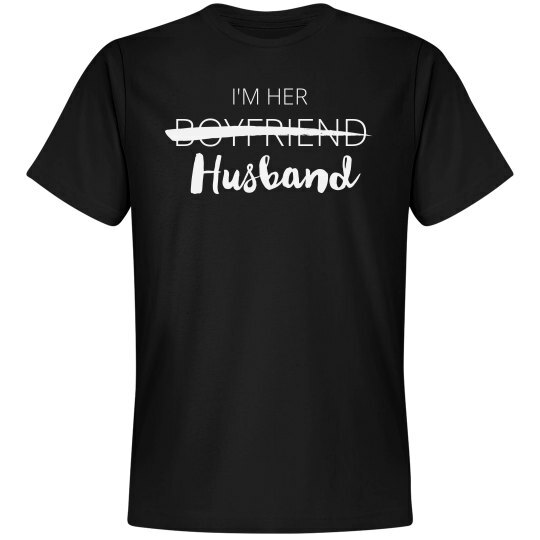 Make sure you check out the matching "I'm His Wifey" top for your new wife!